Hood, R. L., Liguore, W. A., Moore, C., Pflibsen, L., & Meshul, C. K. (2016). Exercise intervention increases spontaneous locomotion but fails to attenuate dopaminergic system loss in a progressive MPTP model in aged mice. Brain Research. doi: http://dx.doi.org/10.1016/j.brainres.2016.06.032. Li, Y.-Q., Cheng, Z., & Wong, S. (2016). Differential Apoptosis Radiosensitivity of Neural Progenitors in Adult Mouse Hippocampus. International Journal of Molecular Sciences, 17(6), 970. Meskenaite, V., Krackow, S., & Lipp, H.-P. (2016). Age-dependent neurogenesis and neuron numbers within the olfactory bulb and hippocampus of homing pigeons. Frontiers in Behavioral Neuroscience, 10. doi: 10.3389/fnbeh.2016.00126. Qi, X., Davis, B., Chiang, Y.-H., Filichia, E., Barnett, A., Greig, N. H., . . . Luo, Y. (2016). Dopaminergic neuron-specific deletion of p53 gene is neuroprotective in an experimental Parkinson’s disease model. Journal of Neurochemistry, n/a-n/a. doi: 10.1111/jnc.13706. Qiao, C., Zhang, L.-X., Sun, X.-Y., Ding, J.-H., Lu, M., & Hu, G. (2016). Caspase-1 Deficiency Alleviates Dopaminergic Neuronal Death via Inhibiting Caspase-7/AIF Pathway in MPTP/p Mouse Model of Parkinson’s Disease. 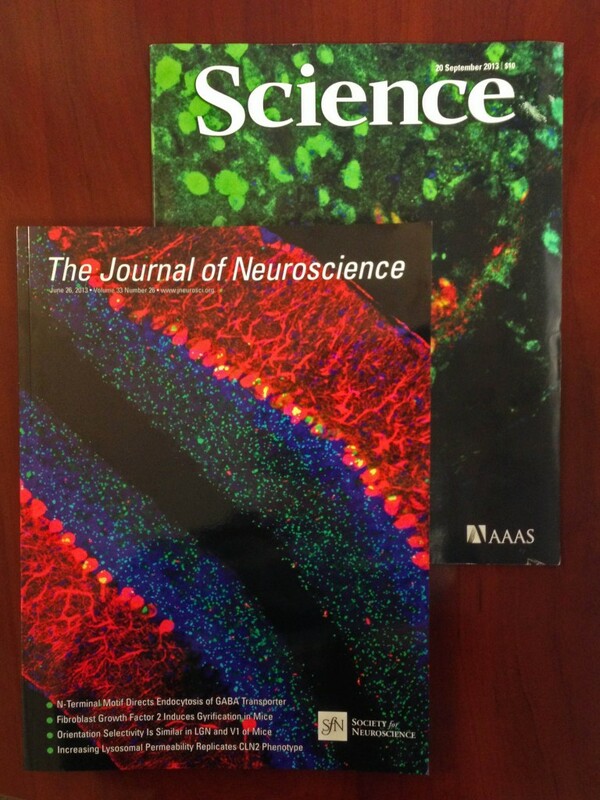 Molecular Neurobiology, 1-11. doi: 10.1007/s12035-016-9980-5. Sano, K., Nakata, M., Musatov, S., Morishita, M., Sakamoto, T., Tsukahara, S., & Ogawa, S. (2016). Pubertal activation of estrogen receptor α in the medial amygdala is essential for the full expression of male social behavior in mice. Proceedings of the National Academy of Sciences. doi: 10.1073/pnas.1524907113. Soares-Cunha, C., Coimbra, B., David-Pereira, A., Borges, S., Pinto, L., Costa, P., . . . Rodrigues, A. J. (2016). Activation of D2 dopamine receptor-expressing neurons in the nucleus accumbens increases motivation. Nat Commun, 7. doi: 10.1038/ncomms11829. Stephenson, A. R., Edler, M. K., Erwin, J. M., Jacobs, B., Hopkins, W. D., Hof, P. R., . . . Raghanti, M. A. (2016). Cholinergic innervation of the basal ganglia in human and other anthropoid primates. Journal of Comparative Neurology, n/a-n/a. doi: 10.1002/cne.24067. Xu, L., Ryu, J., Hiel, H., Menon, A., Aggarwal, A., Rha, E., . . . Koliatsos, V. E. (2015). Transplantation of human oligodendrocyte progenitor cells in an animal model of diffuse traumatic axonal injury: survival and differentiation. Stem Cell Research & Therapy, 6(1), 1. Baptista, S., Lourenço, J., Milhazes, N., Borges, F., Paula Silva, A., & Bacci, A. (2016). Chronic treatment with low doses of methamphetamine promotes neuronal differentiation and strengthens long-term potentiation of glutamatergic synapses onto dentate granule neurons. [10.1523/ENEURO.0141-16.2016]. eneuro. Huh, C. Y., Amilhon, B., Ferguson, K. A., Manseau, F., Torres-Platas, S. G., Peach, J. P., . . . Williams, S. (2016). Excitatory Inputs Determine Phase-Locking Strength and Spike-Timing of CA1 Stratum Oriens/Alveus Parvalbumin and Somatostatin Interneurons during Intrinsically Generated Hippocampal Theta Rhythm. The Journal of Neuroscience, 36(25), 6605-6622. Yang, T., Massa, S. M., Tran, K. C., Simmons, D. A., Rajadas, J., Zeng, A. Y., . . . Longo, F. M. (2016). A small molecule TrkB/TrkC neurotrophin receptor co-activator with distinctive effects on neuronal survival and process outgrowth. Neuropharmacology. doi: http://dx.doi.org/10.1016/j.neuropharm.2016.06.015.